When you choose Invisalign you will be joining over 4 million satisfied patients across Australia and the world, who have opted for the same revolutionary treatment. This highly effective, non-surgical, teeth-straightening method has been the talk of dental practitioners for over a decade, bringing straighter smiles to patients young and old. Invisalign is a highly effective teeth straightening system that uses a transparent plastic brace, called an ‘aligner’, which is thin enough to remain pretty much invisible when worn over your own teeth. It provides a huge aesthetic advantage over the unflattering rows of antique ironmongery that used to be the bane of many a teenager’s life, not to mention those of grown-ups seeking a cosmetic makeover. Occasionally there is minor discomfort as your mouth and gums get used to accommodating the braces, often described as a feeling of pressure, but this is quite normal and will soon pass. As previously mentioned, the clear plastic aligners, made from medical-grade, thermoplastic material, are a popular choice for those who do not wish to advertise the fact that they are undergoing orthodontic treatment. They are hugely effective but it’s highly unlikely that anyone will detect them in your mouth, even when you are conversing face-to-face. You may be surprised to learn that many celebrity A-listers have used these almost invisible braces to conceal their cosmetic procedures, yet they still managed to flummox the flashing cameras of the paparazzi, who didn’t have a clue they were wearing them. Think of Invisalign aligners as traditional braces in stealth mode! 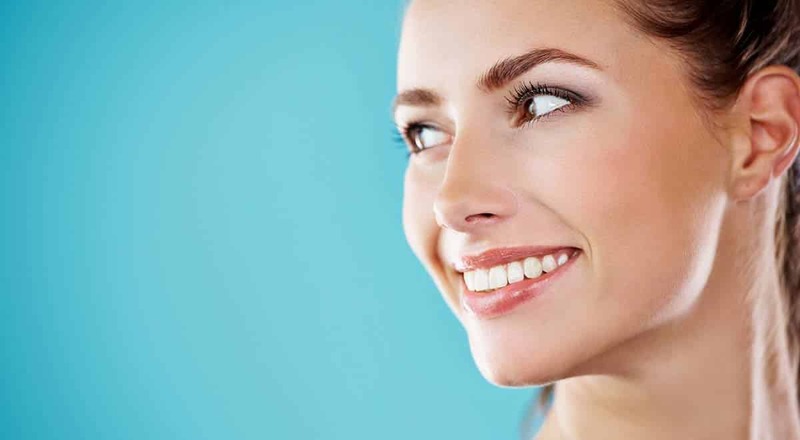 The Invisalign treatment involves a very straightforward process – each transparent aligner is gently secured over your teeth, where it will remain in situ for approximately two weeks, before being replaced by the next one in a carefully planned series, until the entire course is completed and your teeth are perfectly re-aligned. The aligners can easily be removed by the patient for cleaning and, in most cases, no further appointments are necessary, apart from routine dental checks to assess the efficacy of the procedure. The simplicity of the treatment is in stark contrast to traditional orthodontic approaches that often require frequent and fiddly adjustments of the wires and brackets. The Invisalign method is unobtrusive and will have far less impact on your daily life. Invisalign’s aligners are also designed to provide you with maximum comfort, without compromising on the extremely gratifying results. Unlike metal braces, that are known to irritate your cheeks and tongue with their poking wires, the plastic aligners are smooth around the edges and you will soon forget you are even wearing them. Traditional metal braces are often bonded to your teeth, where they remain throughout the course of treatment, which in some cases may be as long as 18 months. Their design means that it’s unwise or even painful to eat certain foods, often the snacks that you enjoy the most, like chewy candy, nuts and gum. With Invisalign you can simply remove the unit, enjoy your treat, then then simply pop it back in. You can also stick to your usual cleaning regime of brushing and flossing your teeth. Once removed your aligners can be rinsed off in lukewarm water and cleaned gently with a soft toothbrush. If you are looking for a Diamond Invisalign Provider contact Quality Dental and make a consultation appointment to see Dr Luke Cronin on on (02) 9922 1159. Click here for more Cosmetic Dentist Sydney or more Invisalign information.